The Clipper Round the World Yacht Race fleet leaves Derry city on the River Foyle to start the final leg of its global trip on Sunday, en-route to the finish at Liverpool Picture by Margaret McLaughlin. 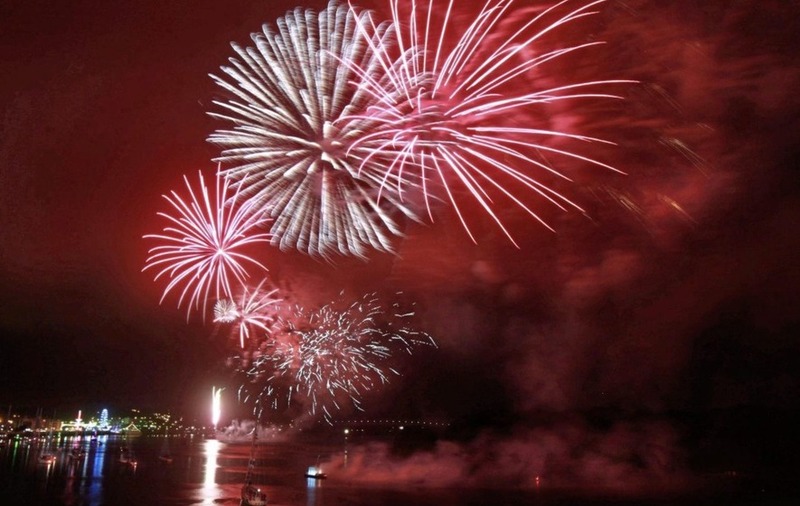 A spectacular fireworks display illuminates the Clipper fleet on the River Foyle in Derry Picture by Margaret McLaughlin. 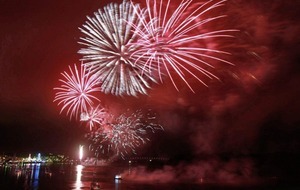 DERRY has celebrated a successful Foyle Maritime Festival despite a the recent spate of summer violence. Hundreds lined Derry's Quay on Sunday to bid farewell to the clipper global yacht race teams as they set off for Liverpool on the final day of the festival. Concerns that the riots and disturbances in the city would affect the success of the event subsided as it ran without any issue over 10 days of celebrations. The festival took place just days after the July 12 parades, which saw a number of young people arrested and over 200 petrol bombs thrown at police. Between July 14-22, up to 220,000 people have visited and enjoyed the city as they played host to the crews of the 11 visiting race yachts during their stopover, with hotels in the area reportedly filled to more than 80 per cent capacity. The Mayor of Derry City and Strabane District Council, Councillor John Boyle, led the crowds in waving off the fleet as it made its way back up the Foyle to the official race start at Greencastle in Co Donegal. Speaking after the event, Mayor Boyle said the festival had been a major success for the city and district and wider North West region. "It has been fantastic to see Derry and the wider north west region profiled in such a positive way on a global platform. "Once again we've demonstrated our ability to stage an international event generating substantial revenue for the local economy, and enhancing the region's profile as an exciting and unique visitor destination." 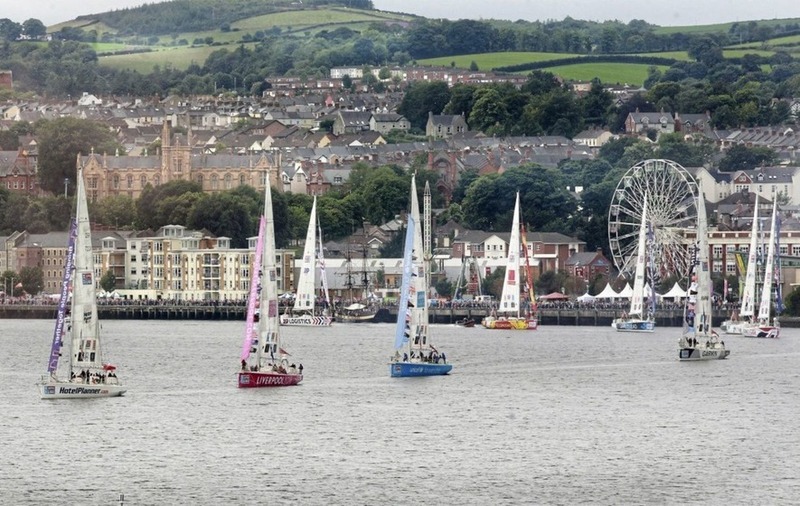 This is the fourth time the Clipper Round the World Yacht Race has included Derry as a stopover city, with plans currently being developed to host the Foyle Maritime Festival biennially. Clipper Race chairman and founder Sir Robin Knox Johnston said: "You can see what the race means to the people of Derry-Londonderry because thousands have lined the banks of the River Foyle to see the fleet off today, and there was a huge cheer for every team as they left the marina. "It's just enormous and this stopover has got better every time we have come here. "This has definitely been the best yet given the reception the crew have had here all week, it's been fantastic to see the crowds and support. Frankly, you can't help but enjoy it."